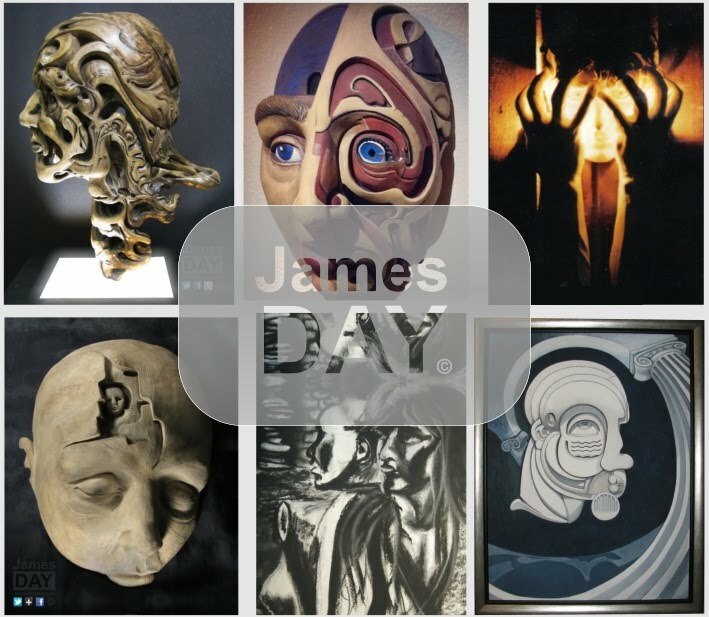 James is a sculptor, painter, and mixed media artist who focuses on abstract and surreal forms of art. He is also an entrepreneur and business owner who like most struggle to balance time between work and his art. 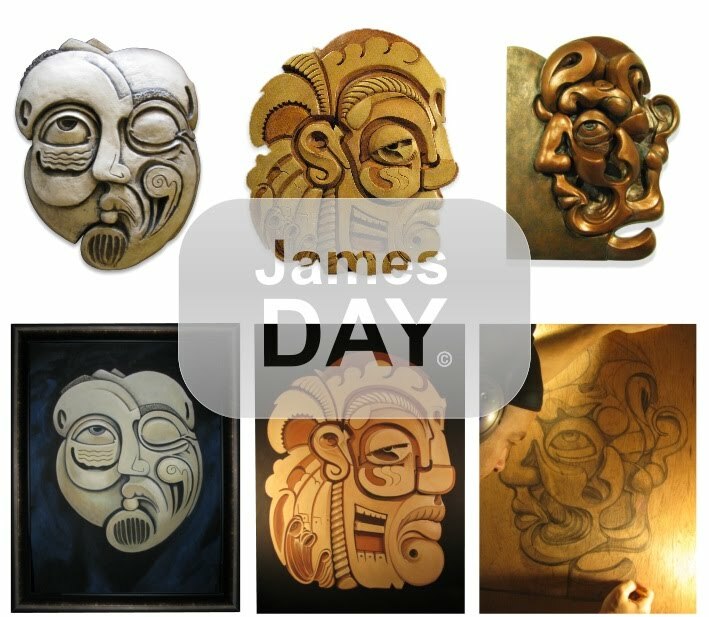 The series he’s currently working on includes several intricately carved high bas relief masks. His latest series also includes a large acrylic painting among the dozen relief sculpture carvings. His work is very unique, using heavy carved lines that move and flow almost continuously throughout each of his artworks. His subject matter is mainly of the human form with hints of architectural and representational elements. I can’t say that I’ve seen anyone who frames light like that. Pretty interesting concept. Is it in a box frame or glassed in? I wish I knew of a residency or something similar to what you’re describing. Unfortunately I have no idea. It’s not really my department but if you Google’d it, I’m sure you will find more than a few. Just started following you on twitter because I checked out your events calendar. I am just too damned busy. And my art suffers. I moved all my courses for Marian University online, thinking it would free me up, so what did I do? Helped start an art co-op on Marco Island so I could keep my hand in, but also to exhibit my light sculptures. I can teach my students (all graduates – mostly in the field working daily with kids and doing online studies at night and on weekends – and they LOVE IT!) from anywhere. I spoke in Singapore last year and in Moscow the year before and my students online never knew I had left the states ;-). What I am looking for is a residency where I can still do my online duties, but ALL the rest of the time develop my light sculpturing to a much higher and more spectacular level. Where do I find a directory of such? I do not need much money, just a place to work and be housed, fed, take my wife with me. She is also an online professor for University of Phoenix. Any leads so very welcome!